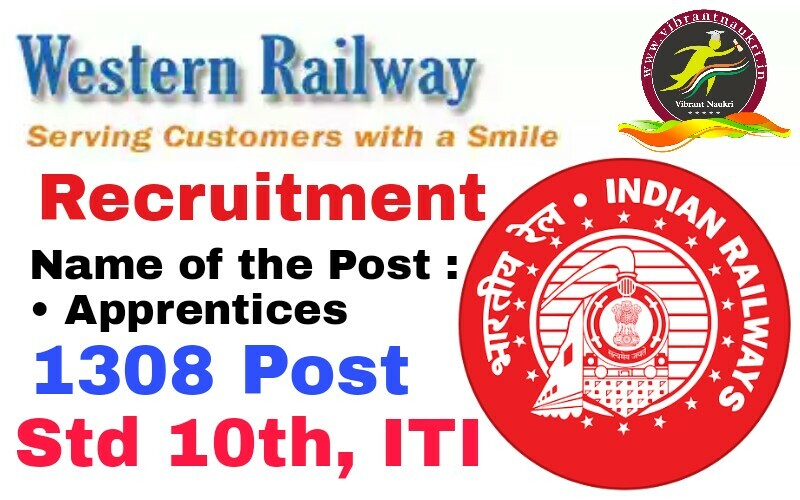 Western Railway Recruitment 2017 | 1308 Apprentices Posts | Std 10th, ITI | Ahmedabad, Vadodara, Pratapnagar, Rajkot, Mumbai: Western Railway has published Recruitment notifications for below mentioned Posts 2017. More information please read below mention officially notifications carefully. Educational Qualification: SSC (10th) Pass with 50% marks with ITI. • There is no fee for SC/ST/PH/Women Candidates. How to Apply: Send their application & necessary documents to given address below by RPAD. • Ahmedabad: Assistant Personnel Officer, For Divisions Railway Manager, Ahmedabad. 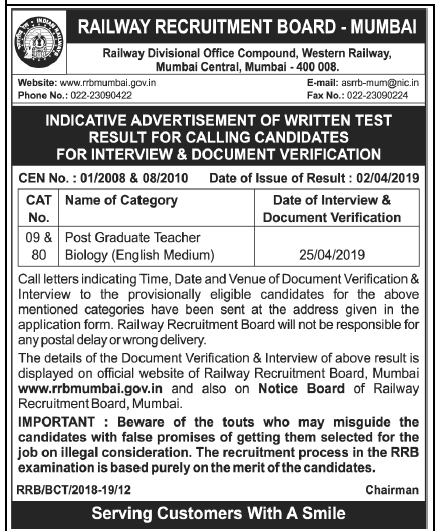 • Vadodara: Divisional Railway Manager (E) -BRC, Estt. Electrical Selection, Second Floor, Personnel Department, Pratapnagar, Vadodara – 390004.